Who Are The Most Underrated Footballers? The beautiful game is resplendent with hidden treasures who have escaped the hype and fervor that surround the Pele's and Maradona's of the football world. These talented football players had the misfortune of playing at the wrong time for the wrong team, or were over-shadowed by bigger names. Did Beckenbauer individually manufacture Germany's success in the 1970s, or were other players of similar importance? Who won the 1982 World Cup with Italy before Baresi came along? Some names resonate in our memories, while others are not mentioned outside of their country. It's time someone dispersed the limelight. This video compilation of underrated football players primarily includes retired professionals from the modern era. There are not many current footballers included because they may still receive the recognition they deserve. The players listed here may be relatively unknown, under appreciated, or underrated in terms of not making the elite lists of other football raters. As ever, this is a matter of opinion, but it's an opinion that has been formed from over 20 years of watching the beautiful game. As a striker, Gabriel Batistuta was one of the greatest finishers of all time. He could score from almost anywhere on the pitch, and his power and ferocity helped him utilise this ability to full effect. Nicknamed Batigol, he scored 300 goals in 494 competitive appearances, and a further 56 goals in 78 games for Argentina. He won the Copa America twice with Argentina, and won 2 league titles and 1 domestic cup in his club career. His best performances were for Italian side Fiorentina. Had he played for a bigger team during his peak, he may well have earned the reputation his quality deserved. Now in his thirties, Andrea Pirlo is still playing professional football. As an incredible playmaker, it's about time Pirlo was recognised for how good he is. His range of passing is phenomenal, his skills graceful, and his free-kick taking exceptional. While Xavi and Iniesta get all the credit, Pirlo must be wondering what he has to do to get a mention in the cliched rants of people who profess to love the beautiful game. His 1/10 goal to game ratio does not do justice to the amount of assists he has wracked up in his career. He won the 2006 World Cup with Italy, and has won 2 European Cups and 3 league titles. Most people seem to forget how good Ronald Koeman was, but if I was to create a team of world-beaters, I'd want him in it. He was an exceptional central defender, but like the other greats in his position he was a masterful footballer. His passing ability matched some of the best playmakers in the world, and he utilised this ability to even greater effect with his free-kick taking. With 227 goals in 652 games, he may be the highest goalscoring defender ever. Indeed, he was the top scorer in the 1994 European Cup. He guided the Netherlands to their only title in the 1988 European Championships, as well as leading PSV to their only European Cup win. He won another European Cup with Barcelona, and 8 league titles during his club career. Before Germany won the 1974 World Cup, they won the slightly less prestigious 1972 European Championships. Gunter Netzer was a pivotal part of this team. He was a fantastic passer of the ball, and like many of today's great players, retreated to his own half to take possession of it. Much like Barcelona's Xavi, he was the central hub of the team, but he combined this with excellent dribbling ability and strong leadership. With Borussia M'gladbach he competed against Beckenbauer's Bayern Munich, and came away with 2 league titles. He was bought by Real Madrid to counter Barcelona's acquisition of Cruyff, and again he delivered two league titles against supposedly better players. The best football players of all time are able to do things that few others are capable of. Davor Suker defined this capacity with the goals he scored. What allowed him to do this was his deft touch, or the ability to judge the power and placement of his strikes to perfection. As probably the greatest Croatian footballer ever, he guided the national team to 3rd place in the 1998 World Cup, which is no small feat for a country with a population of less than 5 million. He finished top scorer in the competition too. In all, he managed 45 goals in 69 appearances for Croatia, and 203 goals in 448 games during his club career. He won a European Cup and a league title with Real Madrid. While Baresi and Maldini get all the plaudits, and Lothar Matthaus is regarded as the successor to Beckenbauer, people often forget about Matthias Sammer. This sweeper and defensive midfielder guided Germany to the 1996 European Championships and was named the best player of the tournament. As an exceptional strategist, leader, and ball winner, he could step up the tempo when it was required, and drive his team to win. Despite being regarded as better than Matthaus, the latter appears to be remembered for the 1990 World Cup triumph. As well as the 1996 Euro's, Sammer guided an unfancied Borussia Dortmund team to the 1997 European Cup. He also won 2 league titles, but his career was cut short by injury. Stoichkov was one of the stars of the 1994 World Cup where he led an unknown Bulgarian side to 4th place. He finished top scorer with 6 goals. He was a unique talent who would have made a bigger impression had he been born in Italy or Germany. He helped define the wing-striker position now seen in most 4-3-3's. With an unusual dribbling ability and a knack for scoring impossible goals, he is fondly remembered by many football fans of the 90's generation. As well as scoring many free-kicks, he was a great crosser of the ball. Wracking up 350 goals in 677 games, he won 1 European Cup and 8 league titles. Franco Baresi is the token defender on most people's best player lists, but Baresi was absent when Italy won the 1982 World Cup. He was kept out of the team by Gaetano Scirea. This graceful defender excelled in the sweeper role defined by Beckenbauer. Scirea's great skill, tactical ability and leadership resulted in him winning almost every trophy in the game. As well as the 1982 World Cup, he won the European Cup, UEFA Cup, Cup Winners Cup, Super Cup, 7 league titles and 2 domestic cups. He was a quiet and contained individual who never received a red card in his career. His character may have led to him receiving less attention than he deserved. Romario described Laudrup as the 5th best player ever. Beckenbauer compared him to Pele, Maradona and Cruyff, but have many of today's fans heard of him? Laudrup was possibly the greatest playmaker ever. He combined vision and tactical thinking with exceptional skill and passing ability. In this sense he was probably a greater talent than Zidane. What made Zidane a great player was how he gave 100% all the time and produced his greatest football on the biggest stages. Laudrup didn't always reproduce his talent on the pitch and is accused of not always giving 100%. Despite this, he won the European Cup and 7 league titles. As one of the greatest assisters of all time, he still managed 197 goals in 697 games. There is one football player who could score from literally anywhere, and his name is Hagi. As the video shows, the goals he scored were beyond remarkable, they were a kind never seen before. However, the player had more than just a powerful shot, he had dribbling and passing ability to match some of the best in the game. His shooting talent was so great that he is often left out of best player lists by people who think he's one-dimensional. Rather, it is what marks him out as above and beyond his competitors. He has won the UEFA Cup and 7 league titles scoring 271 goals in 638 games from midfield. The Maradona of the Carpathians should be high up on every best player list, but sometimes he doesn't even make the top 100. Many of the players on this list are from the 1980s or 1990s. 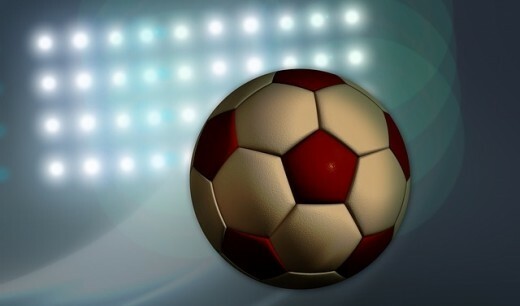 The generation of footballers from the 1960s and 1970s are appreciated more because of the legendary status attributed to them by fans of that era. Players who came later were never given the appreciation they deserved. It is up to the 80's and 90's fans to create the same legacy for their under-appreciated generation of football players. This is difficult to do in an age where fans have access to hundreds of games every year. The attention is very much on the here and now, and the echos of the past are centred on the 60's and 70's. It is hoped that this article addresses that imbalance somewhat. Many greats didn't quite make it into the top 10 underrated football players of all time. These stars include Alan Shearer, Zico, Gianni Rivera, Leonidas, Andreas Moller, and Dino Baggio. The beautiful game has been graced by many talented football players, but only a few are appreciated by the fans of today. Cannot believe Seedorf is not on this list. He is probably the best midfielder of his Generation. Better than Zidane. Juan Roman Riquelme possibly, the best playmaker of all time, yet he is not in the list. No. There were earlier players who status is legendary because they were that good. In the days before "legendary" was used for any tattooed drama queen. 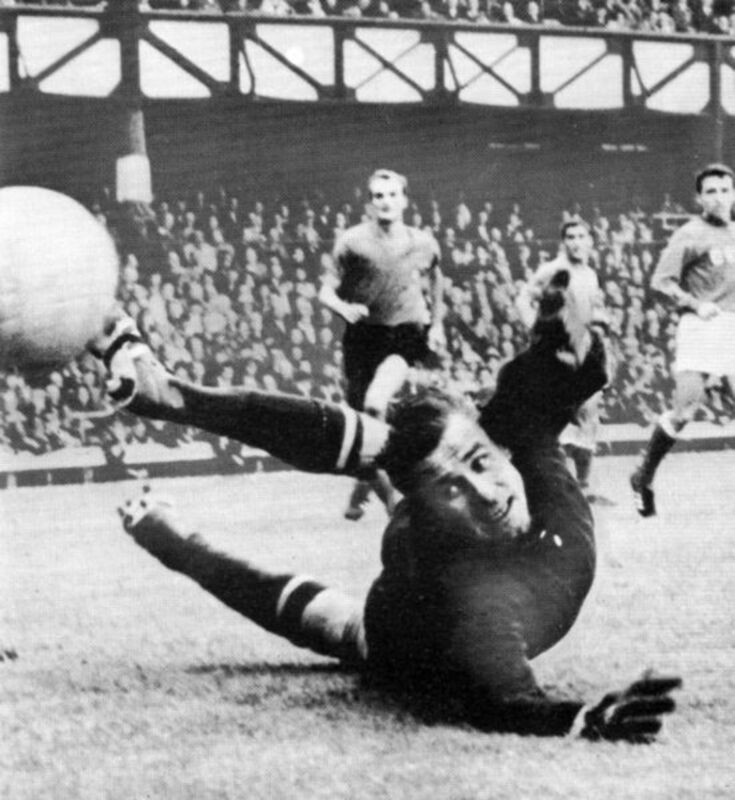 I give you, for example, John Charles. And I'm not even Welsh. Within the last 5 years Pirlo has received his due. Yes, under rated. But BATISTUTA was a great finisher & very dangerous striker for every strong opponent. Whilst I agree with many/most choices, there is one glaring omission - Dragan Stojkovic. A magician who commanded a near world-record fee at one point and was Platini-esque without the profile. I would also have found a spot for Glenn Hoddle too. Loved it. Batistuta and Pirlo both really two great players but agree with you that somehow they are underrated. What about Puskas and Kocsis brother they were the heroes of hungatien teams in late 90's. This was a great article. I loved watching the videos. Like the article,but would have left some players out like batistuta, Suker, Stoichkov, these three players are one of the best that ever played for their own home countries. They were even considered best players in their football clubs they played for. Interesting article though! Thanks for commenting jmoboy1. 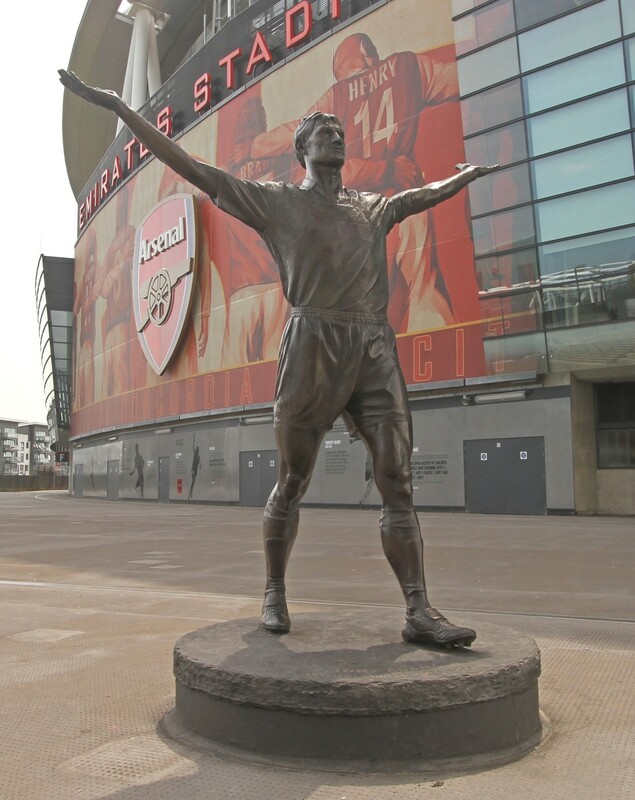 Agreed that Bergkamp is underrated by many people. He was one of the greatest footballers to have ever lived but most people wouldn't even put him in their top 30. Cafu and Rivaldo were excellent too. Rui Costa had his moments but I wouldn't agree there. I think Figo was a bit overrated too, though he was one of my favorite players when I was a kid. Batigol was the Cavani of his day, but in those days you had to play for one of the big few teams to achieve notoreity. I almost wish he'd been less loyal to Fiorentina. This is a good and informative Hub - an enjoyable read! If you take ''underrated'' as meaning not being constantly talked about which the other true greats (Pele, Maradona, Messi, etc etc) then this does work. In my opinion, Batistuta was one of the greatest strikers I can remember seeing in my 25 years of watching football - he never gets enough a mention these days! Hagi and Stoichkov were also amongst the most skilful I ever saw, and I'm glad you've mentioned them too. Denis Bergkamp, Cafu (I can't remember ever seeing a more skilful wing-back), Rivaldo (always overshadowed by Ronaldo and Ronaldinho), Rui Costa (overshadowed by Figo). And those are just off the top of my head. Most of these players are far from underrated. How can he possibly underrated? They gave hem the Ballon d'Or, they awared him as the best European player in 1992 and he even got a lifetime achievement award as BEST BULGARIAN FOOTBALL EVER. How is that underrated. Did they have to make him emperor of the world? And that's just awards. He was a star both with Barcelona (winnig everything there is to win) and Bulgaria. True. I think Ozil has been a big let-down at Madrid though. Yeah I agree. Although Ozil and Pirlo are different in their play making styles. Yea, after Euro 2012, pundits were drooling over Pirlo. I guess they were making up for lost time. I wrote this before the Euro's, but even now, Pirlo is largely forgotten because he's always played in Italy. If he went to Spain or England he'd be a superstar and get the recognition. People rate Ozil better than him, which is ludricrous imo. Pirlo is not an underrated player. And I definitely agree about Hagi. He was phenomenal. Should have played at better clubs. He did at Euro 96. Players can win many awards and be underrated. If Maradona was the best player ever, and won lots of awards, but happens to be rated 3rd or 4th by most people, he would be underrated. He isn't rated that low, but hopefully you see the point. Sammer should be rated higher than he is. Why is Sammer there? Didn't he win the golden ball in 96? Didn't agree with everyone you put on the list but thank you for putting laudrup on. He is forgotten and overshadowed but he plays so gracefully as if he's a dancer in a performance. I think Hagi is actually overrated because of USA 94. U should also fix the stats on Batistuta's goal-scoring record. He scored 56 goals in 78 games for Argentina! I would say that Koeman is overrated if anything. He had a great shot but wasn't actually very good at defending. Richard, good points. About corruption, I meant the whole political climate in Russia is corrupt, and this will undoubtedly make their football association and their clubs more corrupt than those in other countries. Thanks for the comment Outdaremagazine! Pirlo certainly enhanced his reputation at the Euros, but for a player coming to the end of his career, he has been woefully under-mentioned by the popular press and by fans. We all seem to doat on Barcelona, Madrid or the Premier League clubs, but I think Pirlo's lack of attention is linked to the downturn of Serie A.
Donnacha thanks for the comment! No matter how well known, recognised and respected a player is, he can still be underrated. Gheorghi Hagi doesn't make it into most people's top 50 players, and sometimes not even the top 100. I find this ridiculous. He should at least be top 30, probably top 20. He is well known, recognised and respected, but under-rated. I think the Hub topic and the way that you have attacked it but there are a couple names i wouldn't agree with. 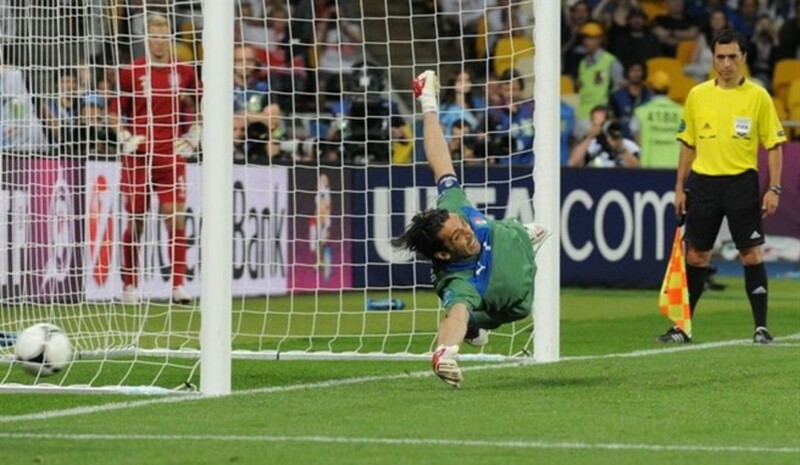 Pirlo for instance is a legend in Italy and Europe, evidenced by the way he was gushed over in the Euros this summer. I guess i just don't know where you are generating their "underrated" status from. Nevertheless i enjoyed the Hub and dialogue that followed. Thomas, corruption affects all of sports, not just football. YOu think the NCAA or the NFL or MLB isn't corrupt. all big sports organizations are corrupt. I disagree about the black players in Russia. Bias is human. Some players will say no, but the reality is all countries have cultures and all cultures teach some form of bias. But, most Black players would rather deal with bias, bananas and spitting than be impoverished. The USA is considered by many to be the most culturally accepting of all places yet if you have been to most states within the USA you will know that phenotypical bias, or racism is rampant and growing in many places in the USA. YEt, Black athletes play all about the USA. The problem for countries like Russia in my view, is that they have to out pay the competition. The reluctance you speak of is real, and I would say is more dislike than reluctance. IF you are a black player and you have two teams equally giving the best fiscal opportunity. If one is Russia and the other is England, which do you pick? Like the Netherlands, Italy's role in the larger picture is changing fitting the economic nature of sports. In many ways, I think the winner is FIFA. Take the corruption charge out, the organization of soccer is so good, countries can change their roles in the overall picture and not affect the global economic standing of the game. Look at Baseball, basketball, or the Gridiron. Those three without the USA would be dead sports. The beauty of soccer is that the underrated players and leagues can become higher rated and move on to unlimited pastures, simply because the venue is truly global. Russia is in a pretty good location. It's easy to travel from there to China, the Middle East and Europe. One problem with Russia is corruption, although that doesn't seem to affect football much at the moment. Another problem is racism though. Black players are/will be reluctant to go there, so that cuts off half the players in the world immediately. I can't see Italy's economy ever recovering enough. They very much subscribe to the Greek economic plan where exports are low and no-one pays taxes... or works. I can't see them getting more tourism either, not that it helps Greece much. Not much of a future for Italy I think. Yes, if militaristically stronger societies enforce their culture on the socieities they have beaten, it usually gives greater power culturally over time. Until Italy's economy gets better the answer is no and by the time it does, I think CHina and brazil may have something to say about it. Also, remember Russia. They also have a part to play. Nice round up of the European leagues. It's funny, but I guess the bigger colonial powers in the 1500-1900s now enjoy the best sports leagues because of the spread of their language. When the French national team won those tournaments, it didn't do a lot for their league because the players had already moved to England, Spain and Italy. If Italy start to dominate international football with players from their own league, I wonder if it will attract the big players from other leagues to come play with them?... or maybe Barca, Madrid, and Man City will just poach them with lucrative wages. Probably the latter, money talks, and like you say, Italy will always be at a disadvantage. The moment things go badly for them again, any progress is lost. 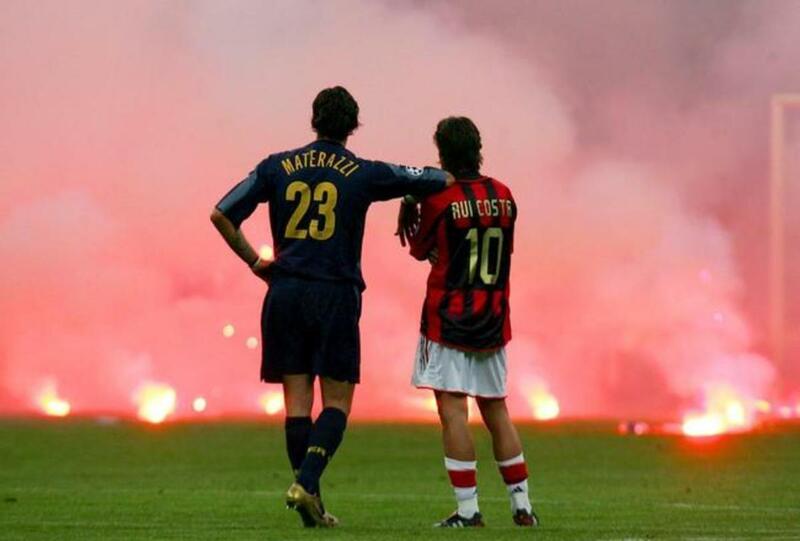 I don't think any of the corruption scandals did anything to hurt Serie A. The fiscal weakness of Italy which hurts ticket sales and domestic broadcasting revenue. The inability of clubs to pay for top foreign talent. And, the lack of a strong italian speaking world online, in comparison to spanish, chinese, and english , and others. They are the cause. The UK is the strongest economy in UEFA, so they get to fill up big stadiums, especially at lower clubs. . They pay for top foreign talent (the biggest factor) which means fans of their national side heroes all over the world want to get EPL and the advertisers know it so , EPL can ask for bigger deals and thus get huge dollars. Second, English is the biggest language online, how popular can a tag be that most people don't comprehend. The popularity reflects back on advertising dollars. Spain would be Italy without Real and Barca and latin america(more latin american players in la liga than any other UEFA league). France has never gotten into the salary fight outside of OL and now PSG, but does well with connecting to Africa(more CAF players in Ligue 1 than any other UEFA league) and parts of America. Germany has a strong economy, the strongest in UEFA, but has not done the salary competition outside of Bayern. They play a lot of Eastern European players also. So, Italy doesn't have anything to compete with. No global language, no domestic economic vitality and no clubs that fiscally compete, outside of the Milanese and Juventus, and no player pools outside of Italy they attract in earnest(brazil and argentina used to fuel Serie A but have chosen la liga now). These are the reasons. Scandals mean nothing. But, the good news is that Italy I think is settling into its new form which focuses on domestic players and plays them well to keep them. I think La Liga is very important to Serie A. If La Liga's clubs go through serious ploblems, I expect Brazil's serie A and ITaly's serie A to fight for players. I think Brazil will win a few but Italy will get some too. Thanks for the comments Richard. I wonder if you think the corruption scandals have affected the perception of Italian football abroad? The league seemed to become less interesting when all those top clubs were relegated or docked points. There was another scandal recently, I'm not sure if that is still ongoing, but the reputation of that league is in tatters. I suppose it doesn't help that Berlusconi owns Milan. Hopefully, they'll recover soon. Also I don't think it helps that foreign players don't come to Italy anymore, and Italian players generally stay in Italy. It's become quite isolated. Zlatan does drop back a lot for Sweden. Benzema had a bad tournament, for club he is the second best scorer and country the first. He still has a ways to go, I agree, especially communicating with other players in the front. I think his biggest problem is the next step for Balotelli, as well. I don't think Benzema is a holding forward though. He needs that skill and that isn't his game. Zlatan and Rooney, and Drogba will flat out defend their marker and hold the ball. That isn't Benzema's game and he needs that. Well it is fair the Juventus team but in truth Serie A. De Rossi has been great for Roma for years and his defensively quality is on display every week but people have turned off serie A, so they are surprised by his skill in the Euros. And, Di Natale has been an excellent goal getter for Udinese for a long while. So Serie A is going through this transition and their slow growth in the women's game in UEFA shows how potent the financial drop off has been. I think Lyon may be an exception. They always surprised me by how well they did over the years. I think Zlatan drops back a fair bit, at least for Sweden. The difference is he has technical ability that Benzema and Higuain just aren't capable of. Benzema is a very poor player in my opinion. I think Ronaldo would be even more effective with Zlatan alongside him, because Zlatan is a completely different player. Benzema seems to get in the way of Ronaldo sometimes because they both try the same runs and want to be the same player... just Benzema is far worse. Zlatan is always best in the supporting striker role anyway, especially as he gets older, so I would expect him to drop back more. Thanks for the analysis about Juventus. I don't know a lot about them, but I'm certainly excited to see them play next season. I've already put Pirlo on this top 10 underrated football players of all time list, I'm starting to wonder if I should just put "The Juventus Team", because Italy seems to have departed from the European football spotlight in recent years... it's all La Liga, Premier League and Bundesliga. Interesting, it is interesting you say that about Ligue 1. Ancelotti at PSG and Lille's youth movement, which is a lot like Barca's. Montpellier are showing that change too. I think OL and OM's failure's this past season confirm your position and overall outside of France prove your statement. That is why Zlatan can't go to Madrid. Benzema is quality but he has worked hard to fit into Real's system which doesn't play an out and out forward. Benzema and Higuain drop back a lot. That may be why both have issues with their national sides. Both need to play more directly but spend most of the year in those Real Madrid switches. I think Ozil is hurt too. During the match against Italy, him and Khedira kept moving in and out. Stay still in a place sometimes. I will be interested as well. I would love to see Juve vs Barca. The key to Juve is that they play the long lost short lob ball very well. Many clubs pass short on the ground. Juve do an extranormal amount of short lob passing. The problem Juve have is Conti. He is a good coach but he likes to switch rosters a lot and he demands up tempo every game. Unless Pirlo and CHiellini stay strong for the entire season, Juve might go through a serious drought of points. Barca play a lot but that possession style saves legs. They are not running the length , but within the midfield zone mostly. 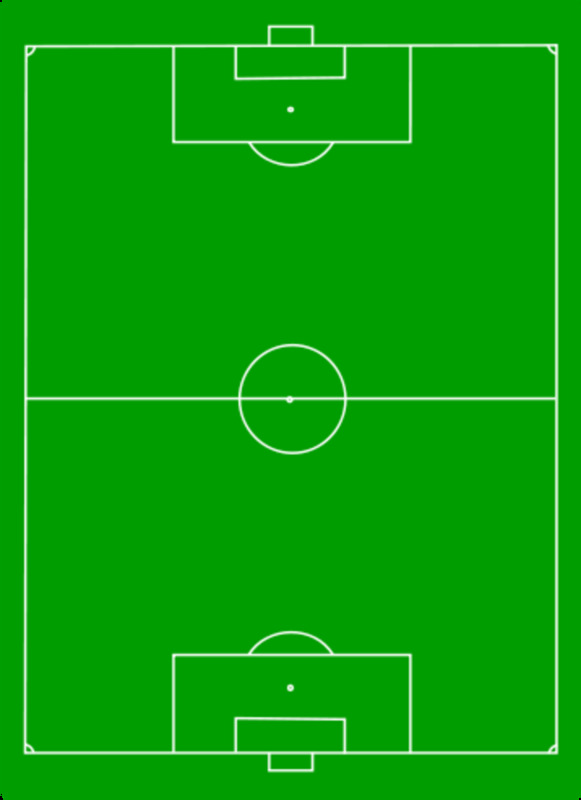 Conti's Juve are pushed to run length constantly with switches. They had a lot of ties last season. If Conti doesn't figure out a method of slow possession during games he can live with, he will push Juve over the edge to early in the season. I think Bayern has some massive stars like Robben, Gomez, Ribery and Schweinsteiger; players that would each command 20 million plus in transfer fees. The french teams never really have managers that are good enough imo, so that probably explains why their flow isn't right. The exception being Wenger with Monaco in the 90's. I agree about a lack of simplicity in the big Spanish teams. They need to play more direct sometimes. Benzema isn't a quality forward. If Madrid get Zlatan, then they can do some real damage. Him and Ronaldo would rip teams apart.. so long as their egos don't clash! You could be right about Italy, although these new Italian players are young, and they may prove that Italian football is in a state of resurgence. I'm excited to see how Juve do next season in Europe. Thomas Swan, I think the reason is simple. Serie A is tactically very good but also aged. In the CL, you face the uncommon. Serie A teams face EPL teams that aren't tactically so good but have such fitness, it knocks them off their game. the CL proves to every league what they are lacking. Barca and Real's losses showed a lack of offensive simplicity. Sometimes you need to be able to have a strong player run to the back of the net and knock one in. If you look at Barca and REal how often have they done that. To Italy, sometimes they are just too old in positions and , even if you are so wise and technically correct, if you are facing a young bullet, you are pushed and it knocks your quality down. Germany are even keeled quality wise but tend to miss the superstar. EPL, La Ligue and Serie A absorb the single stars if you will. Bayern for example has a great squad but they don't have that singular player. FRance's teams are too single minded. Their teams are loaded with individual players, so flashy , so talented, but the team flow is never quite right with French clubs. Every league has their quirks, sometimes they change.but the CL exploits them. Thanks James, these names certainly deserve more recognition. The players from the 60's and 70's seem to get carried through time with legendary status. I don't think the 90's players will get the same attention in the long run, despite being of similar quality. I was drawn to this by the title as i was thinking of doing something similar. Originally i was thinking of the best players but everyone thinks of the same names- Pele,Messi Maradona etc. So it's good to have other names mentioned as being really good players too. Thanks for the comments. Yea, I wouldn't call him under-rated if I didn't value what he can do as a player. Its the media assessment that I am going on, and the resultant ignorance of fans about Pirlo (some haven't even heard of him). I'm divided about whether the assessment is correct. I can see your point about the Italian league being tactically superior, although I wonder why this isn't translated to the Champions League. They have been poor since Inter, and for years before Inter they were poor too. Germany has overtaken them in terms of club achievement. Thomas, I want to say, when I said I disagree about the assesment I am not saying you made it, but I disagree with the media's assesment of Serie A.
Thomas, I agree, Pirlo doesn't give the media anything to bite on. bUt I disagree about the assesment towards Serie A. I like watching Serie A more than any other UEFA league. The tactics the style is very good in serie a.
I watch spain for the two giants. I watch france because I am a francophile when it comes to soccer. I watch england for the big players. 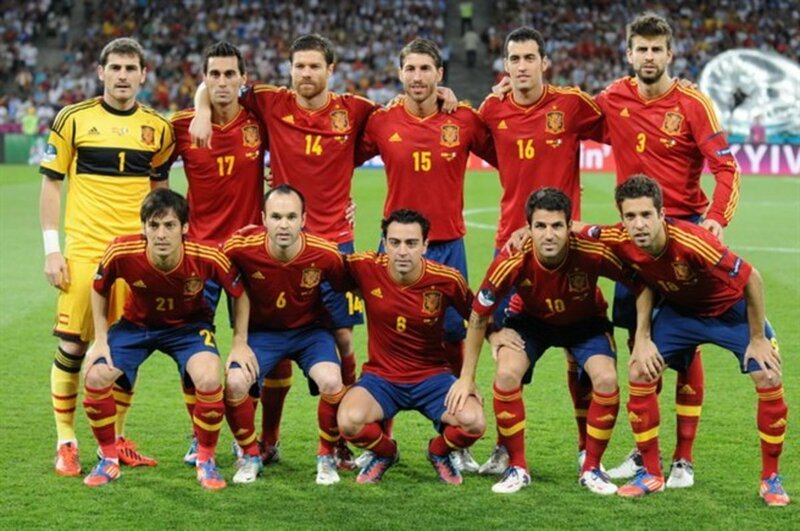 But I watch spain because the tactics are just lovely. And, while Serie A can be considered 4th or 5th without question for me. I think tactically their first. And , in terms of the italy national team, that is why Italy always do well. Because tactically italy is still ahead of a lot of countries. The EPL is considered 1st but the tactics in EPL are on average below Italy's. Spain's best fight so far was against Italy, and why? because ITaly change their tactics to fit what they can do and what they need to do to win. I think ITalian soccer while it has corruption issues, and isn't in the media buzz enough or trying to get in the media buzz properly. I think French soccer is second, but France's problem is viewed best through the national team. Getting the right alignment of their players is key and probably the hardest as their players play outside of their home country more than most of other top sides. Thanks for the vote and share barry! I think I'll always remember Stoichkov too, some players just stay in memory because of how unique they were. Thanks richard, and you may be right. It was the lack of media-buzz around him that got me thinking he is under-rated. Also, Serie A has descended to the 3rd or 4th best league now, so it gets far less attention. I think if Pirlo went to Real Madrid, he would become a top 5 player in the world in less than a season. 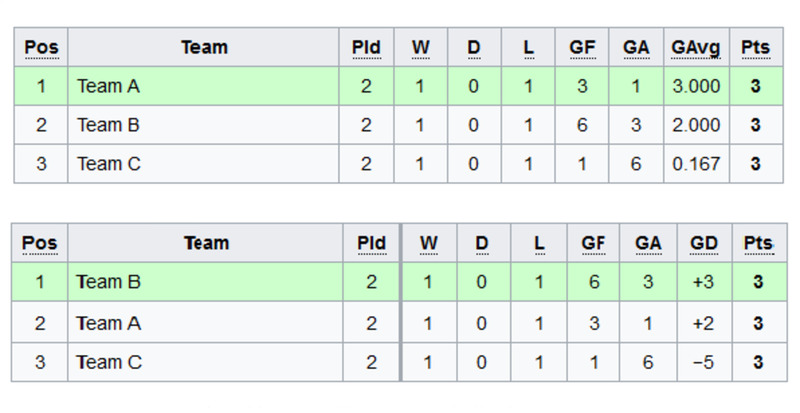 Also people seem to forget the World Cup 2006 and how unfancied Italy were. With the lack of media buzz I think he will be forgotten like the others on this list unfortunately. Thanks for the vote and share CCahill! I suppose I should have said straight away that I was talking about the legacy of these players rather than how they were rated in their time. I'm glad you understood that I meant this. I see a kind of disparity between how we appreciate players from the 60's and 70's compared with those from the 80's and 90's, although in my top 10 list of best players I am also a bit guilty of this. If I had the energy to do a top 20, some of these guys would definitely make it though. Loved Stoichkov, even though he was a total prima donna. Voted up and shared. The only player you got it wrong with is Pirlo. He is not underrated. He is not mediabuzzed but he is not underrated in Serie A or international play. No one doubts Pirlo, no one. CyclingFitness, the answer is kind of in the hub... but thanks for your comment. WhydThatHappen, thanks for the comment, Batistuta was quite highly rated, although people like Kluivert were being rated higher in his day. I think too many people have forgotten about Batistuta these days though. At his peak he was the best in the world in my opinion. Nevertheless, I placed him at 10, so he's certainly borderline. Bizarre list as many of the players on there were rated extremely highly- particularly Hagi 'the maradona of the carpathians'. What logic did you use to create the list? Good list, but I would have left Batistuta off of the list, he was always known as a strong player.